Vodafone Group Plc engages in telecommunication services in Europe, Africa, the Middle East, and the Asia Pacific. The company’s consumer products include mobile services, such as call, text, and data; broadband; television offerings and voice; mobile money services through M-pesa; Giga TV, an advanced digital service; and converged communication solutions, such as GigaKombi, Vodafone One Net Enterprise, Vodafone One, and Vodafone Meet Anywhere. It also offers Internet of Things connections to communicate securely with network; and cloud and security services for public and private cloud, as well as cloud based applications and products for securing networks and devices. In addition, the company offers carrier services, such as international voice, IP transit, and messaging. Further, it provides renting of mobile virtual network services. 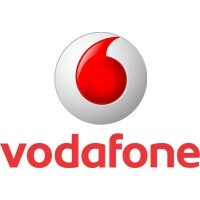 Vodafone Group Plc serves approximately 536 million mobile customers and 20 million fixed broadband customers. The company was founded in 1984 and is based in Newbury, the United Kingdom.